A month has passed since the last of the pecan pie was scraped from the dish and the stale gingerbread house was tossed out for the birds. Now, with Valentine’s Day on the horizon, we are excited to share some of our favorite ideas for festive candy and treats to share with your friends, family and coworkers! With so many school Valentine’s Day parties, we have found the perfect treat that your kids can help to prepare for their classmates. 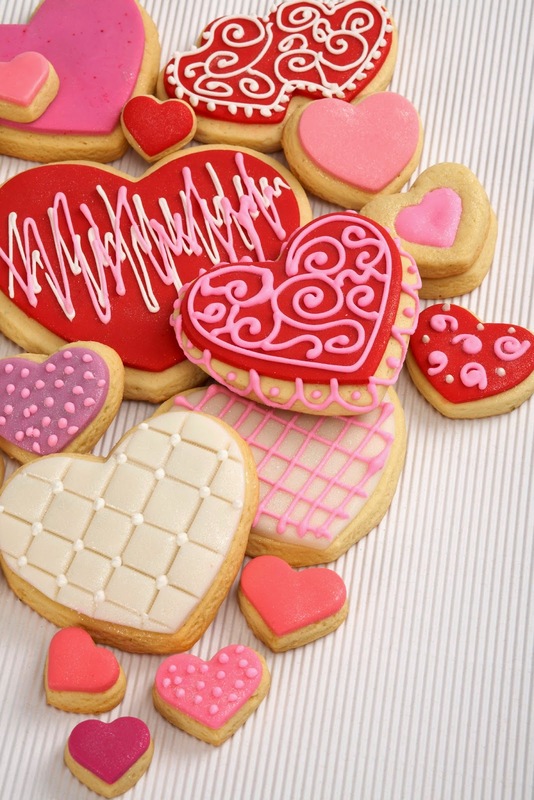 These white chocolate dipped wafer cookies absolutely scream Valentine’s Day joy! We love the strawberry-flavored wafer cookies for their bright and cheery pink color, but the vanilla and chocolate flavors will work as well. All you need to do is heat some white chocolate wafers until smooth, dip one end of the cookie into the mix, and then dip into a small bowl of sprinkles. Lay on wax paper until dry, and then wrap in a clear cello bag with a bright length of ribbon. Kids will love choosing their favorite sprinkle combinations and sharing with their friends. Conversation Hearts have long been a divisive Valentine’s treat – you either love them or you hate them. 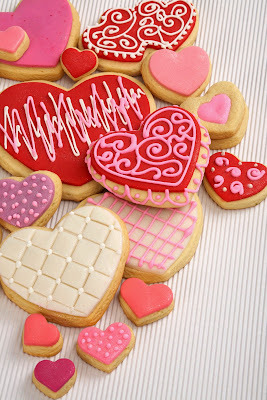 However, we doubt anyone would turn down one of these adorable conversation heart cookies inspired by Martha Stewart. Easily cut homemade or store bought sugar cookie dough into a heart shape using one of our cookie cutters, and choose your own fun sayings to print on the top! Sweet Treat Supply also has a huge variety of candy molds that are perfect for Valentine’s Day! Choose any of the classic heart molds in both drop and lollypop forms, or choose a flirty shape like our chocolate lips mold for your crush. Whether you choose to fill your mold with chocolate, colored candy drops or hard candies, they are an easy option that anyone will be thrilled to receive. Regardless of the treats you choose to create for your crowd this Valentine’s Day, Sweet Treat Supply has all of the tools to make your items even more festive! From pink and red oil-based food colorings to edible glitter, sprinkles and pearls, you can create a work of art for your sweetie this year. XOXO!